ANTS recently announced the full line up for their biggest international event yet at 02 Academy Brixton on Easter Thursday 13 April. With Eats Everything and Groove Armada already confirmed as headliners, ANTS have announced that resident DJ, Andrea Oliva, will be joining them, backed up by house music’s Waze & Odyssey and Second City. Possibly one of Ibiza’s most respected electronic music gatherings, ‘The Colony’, as it is apparently known to its supporters, will invade London’s 02 Academy Brixton for its second party in the capital, following its apparent sold out show at Electric Brixton in February 2016. Waze & Odyssey aka Serge Santiago and Firas Waez joined forces in 2011 to launch W&O with releases on Wolf Music, Let’s Play House, and Tsuba as well as their own heavily championed W&O Street Tracks. Their bootleg of R Kelly’s ‘Bump ‘N’ Grind’ was picked up by Sony in 2014 and charted at No. 3 in the UK. Second City was born in the UK but raised in Chicago and has a pan-Atlantic outlook on house and techno. Following releases ‘The Story’ EP on Huxley’s Saints & Sonnets label in 2013 and ‘I Enter’ on Dirtybird in 2014, his follow up track ‘I Wanna Feel’ was picked up Mistajam’s Speakerbox label and charted at No. 1 in the UK. This was followed by releases on Defected, Suara, Saved, Circus, and ensuing festival dates at Glastonbury, Reading & Leeds, SW4, Creamfields, Pukkelpop, The Social, plus an Ibiza residency for Tribal Sessions at Sankeys. Eats Everything is a regular colony member at Ushuaïa Ibiza – and also confirmed to appear at the ANTS stage at Snowbombing – his appearance in Brixton follows a UK tour that covered a number of intimate gigs in towns and cities in the West and Wales. Eats Everything launched his very own Edible label back in 2015 and made his debut EP release with ‘Girl Powder’ last October. Groove Armada have arguably been at the forefront of house music for two decades and equally happy playing big stages or sweat-soaked basements. 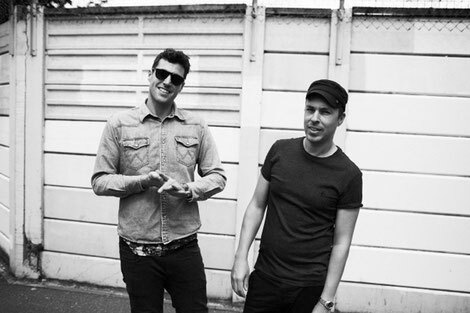 Their breakthrough releases, the downtempo anthem ‘At The River’ and million selling album ‘Vertigo’ has led to the act releasing seven studio albums to date plus a Fabric Live album in 2016.